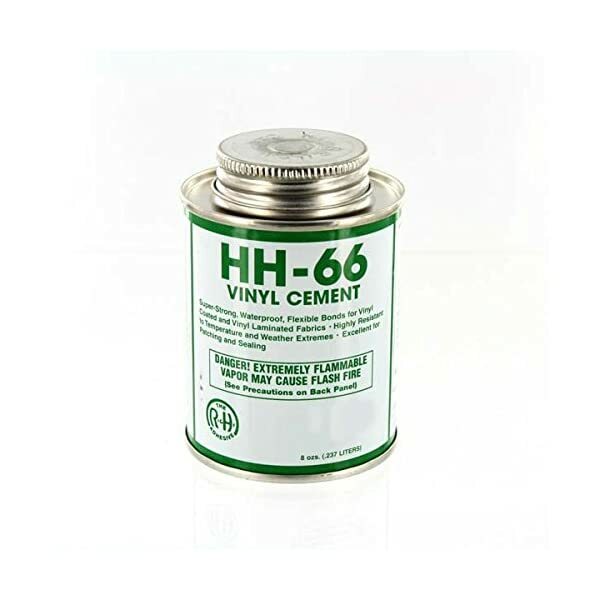 Vinyl Cement – 8oz can. This vinyl cement offers a strong, waterproof bond that is flexible for vinyl coated and vinyl laminated fabrics. The vinyl cement is perfect for repair of any of our lumber and steel tarps. Great for patching and sealing, our vinyl cement is highly resistant to temperature and weather extremes. The 8oz can has a brush applicator lid for convenience. 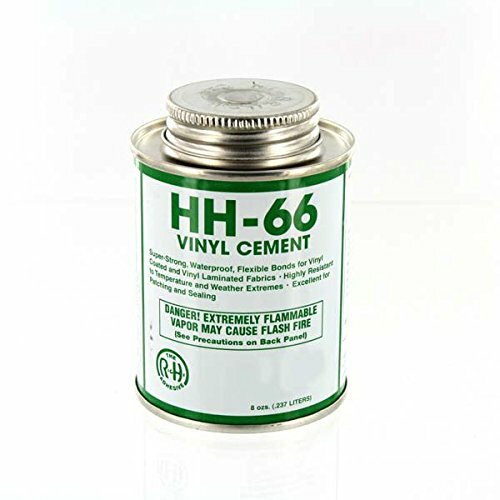 This vinyl cement’s vapors are highly flammable and may cause flash fire. Please keep away from fire or flame and use in a well ventilated area. Materials may need to be roughed up a bit prior to application. Apply even coat of cement to both surfaces being attached and let dry for 2-5 minutes. Then press together as the bond strength increases with age as cement sets.